Solo concert at the Queensland Conservatorium, 2011. 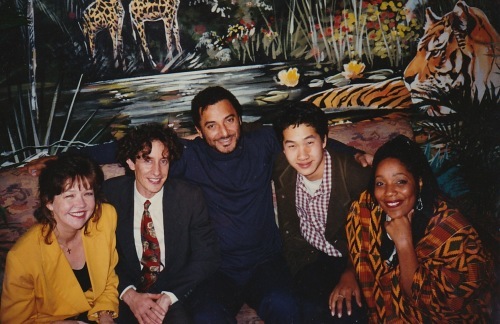 Sharny & her Gospel Band, 1995/6. Sharny at Resort show, Coffs Harbour, 1998. Sharny grew up in a family that was drenched in the love of music. Not only did they love it, but they played and sang it endlessly. Formal piano lessons began at three and a half years old. She started Sunday School at age five, then a year later her parents made a more serious decision about their own faith and her church life began in earnest. Lots of friends and families in church were also involved in music, and the joy of singing about her faith became something she would never lose. Her faith grew in increments as she began to take in the principles involved, and her heart grew more and more open to God’s life within her. When her mother, Peg, who was a brilliant pianist and arranger with a freakishly keen ear, started teaching a group of teens, which included her own family, to sing close part harmony, she picked up the art of arranging for the group, and was soon composing as well. Contributing to worship services became one of her great loves. Having married after her three year course, she moved to Adelaide and was asked to direct the music for the Sunday night “informal” services in the large Lutheran church in the city. Here she was requested, almost weekly, to sing a solo to highlight the theme for the service – and often on not having found anything really apt, she often got her inspiration at the actual service during the reading of the Word, or the sermon, then got up and performed it during the offering! This quick composition skill became commonplace in Sharny’s life. She also worked in the Sunday School of that church, which produced more songs. 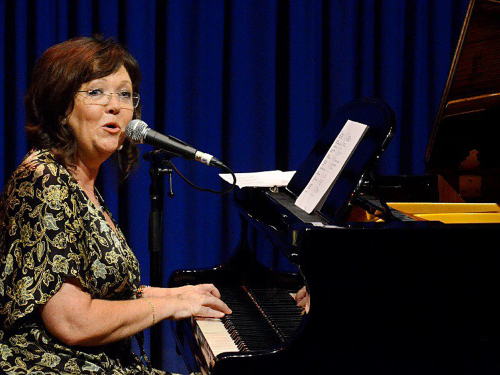 Sharny’s working life in Adelaide included singing for ABC children’s radio, starting up and running two Yamaha Music Schools – teaching young children comprehensive musicianship and training teachers, and playing and singing jazz in restaurants and bars. She and her husband became partners with two French chefs in establishing a jazz venue in North Adelaide, and life became very busy. Then one day, her life was turned upside down – literally. 20 months after they were married, she and her husband were involved in a serious car accident, leaving Sharny with horrific injuries to her face. She suffered “the worst cranio-facial injuries for anyone who had lived in Australian medical history up to that time” and her husband suffered a serious head injury. Despite the tragedy, the event was marked by many miracles. Her testimony is also available on this site. From that time, life was more difficult, but her need to work because of her husband’s inability to work for some time, ensured that she got back to her teaching, playing, and she was even offered the job as the pianist on the national 9 Network children’s TV program “Here’s Humphrey”. More songs were written. Two children later, they moved out of Adelaide, and Sharny sampled life in Sydney as a jazz artist, working immediately at top venues such as The Soup Plus and The Basement, with some of Australia’s best – including a young James Morrison. But Sydney life proved too stressful for her still recovering husband, and they soon moved back to Toowoomba in Queensland – Sharny’s home town, where he took up a university teaching position, Sharny taught in her mother’s music school, and they had their remaining two children. And still always involved in church music and vocal group singing with some of her old friends from the teenage singing years. 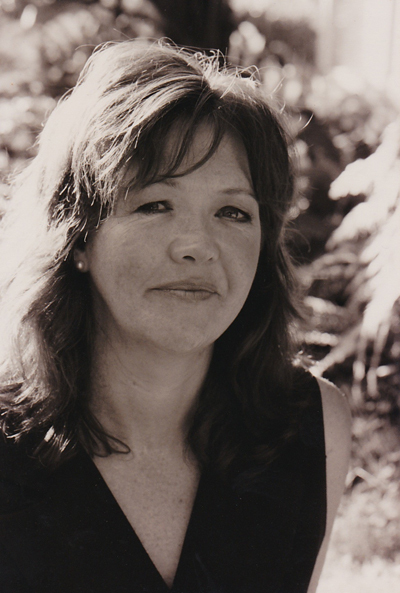 More songs and arrangements were written during this time, but this was also the period in which Sharny wrote her first two gospel musicals – on commission from a local Christian school. The flow of songs never really stopped. But things had not been easy since the accident, and despite her strong faith and commitment, there were some very troubled times in the marriage. Eventually, with more jazz work coming up for Sharny in the “big smoke” of Brisbane, and her husband’s job ending, they moved there, and built a home and a recording studio with their accident payout money. Again, they were asked to lead the contemporary services in the local church and Sharny continued to write songs for services, events and Kids Summer Schools. 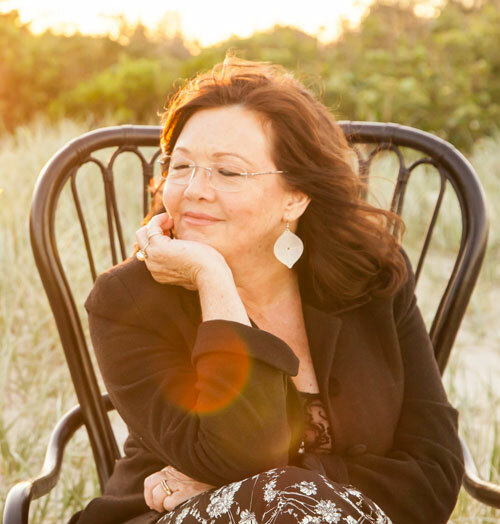 Sharny wrote another two musicals on commission during this time, and recorded her first originals gospel album, “The Key”, her first Kids’ Album, and the four musicals. Despite their relationship difficulties, her husband devoted all of his time working on Sharny’s music – recording, scoring and promoting. She also took jobs with very long hours playing in major hotels and bars. And the ministry aspect had taken off, with Sharny, and sometimes with her band, being offered appearances in churches, women’s groups, major conferences, and kids events. By 1996 the troubled times had taken their toll and the marriage ended. This was THE most difficult decision Sharny was ever to make. And it meant she had to call all her ministry connections and cancel all her engagements for the next 6 months – at least one per week. Moving away to a regional area with two of her children, she immediately became involved in a beautiful little church community and a Christian school where she helped with chapel services and training the children for performances and eisteddfods. This was a deeply healing time for her emotions, although marked the beginning of some major health issues she still deals with. Her body had all but collapsed. A few years later, she moved to Byron Bay, to be somewhat closer to family. She joined the C3 Church and there met the man who was to become her current husband – Frank. Here she also recorded her ABC jazz originals album “A Good Thing on Hold” and since her marriage to Frank has recorded another solo gospel album, “Not My Own” and a worship song demo album, “Let My Song Be of You”. She continues in a wonderful close relationship with her own four children, and has been step-mother and friend to five more, as well as now being Grammy to four grandchildren!